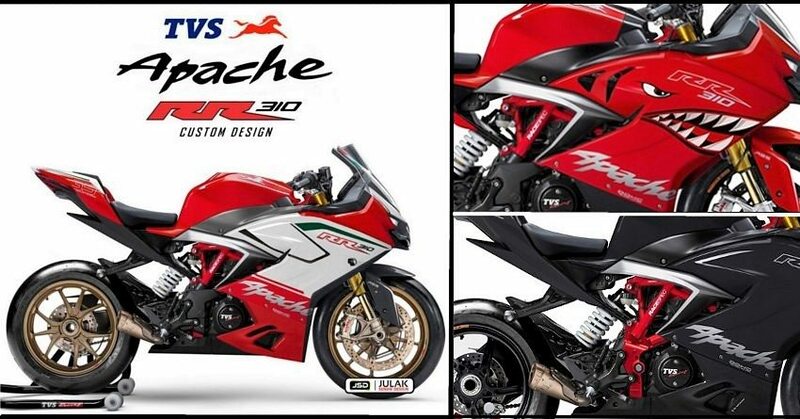 Custom Apache RR 310 Renderings by Julak Sendie Design – TVS Apache RR 310 is definitely a head turner. If you still feel that stock version is something that is not on your side, going through these three amazing renders by Julak Sendie Design can make your day for sure. First, they get you rid off the huge exhaust from the motorcycle. 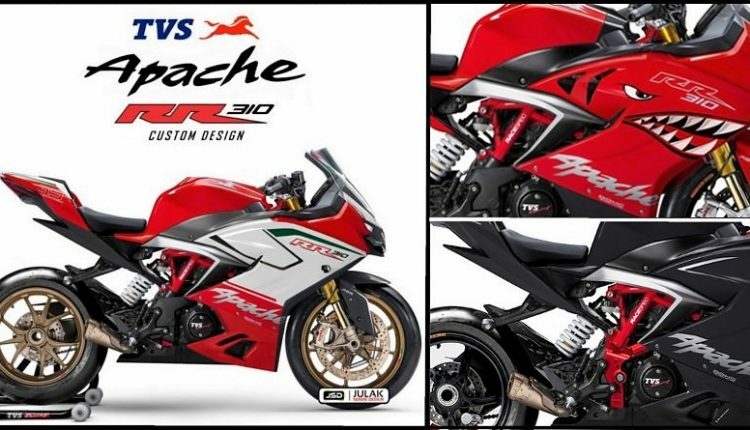 Then you can imagine bigger Brembo brakes in action and at last, the dream of imagining the machine in a Panigale livery comes true with the track version. 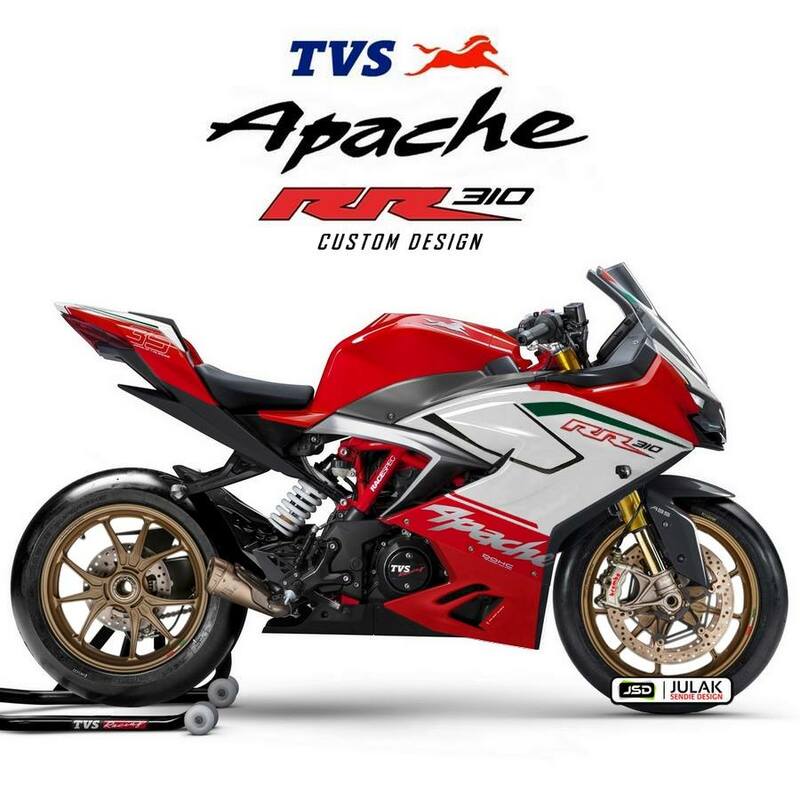 Custom track version uses Golden alloy wheels and perfect balanced Red/White shade. 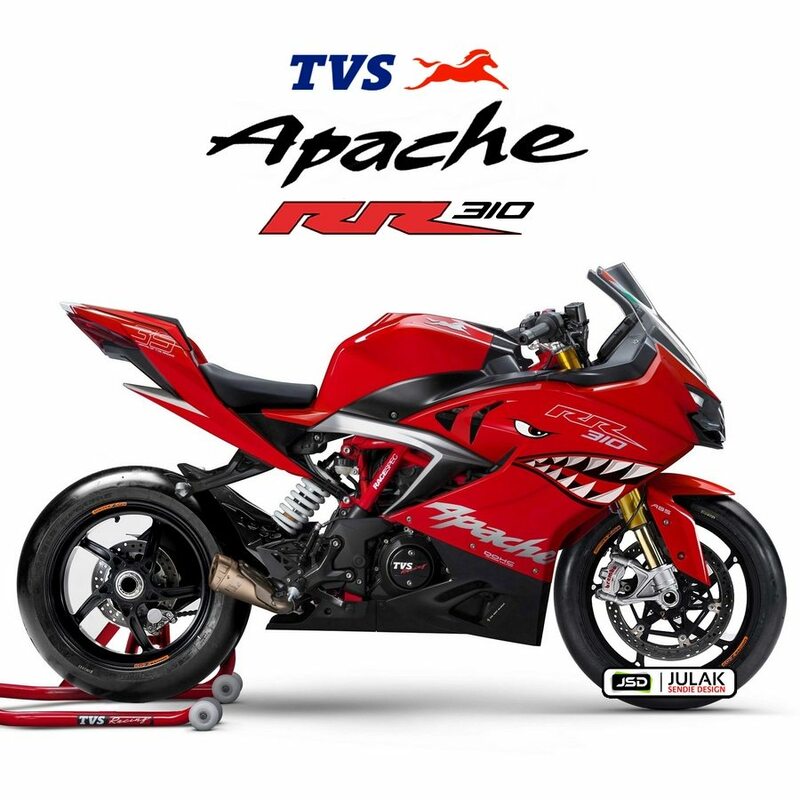 Not just that, one of them even comes with a shark on its side fairing, giving true meaning to the name Akula 310 for its two year old concept version. Please upload exhaust note of this version.